Rapidly develop iOS and Android apps that span the device-to-cloud spectrum with an end-to-end mobile IDE using Apache Cordova, HTML5 and jQuery technology in MyEclipse 2014 Mobile Tools. 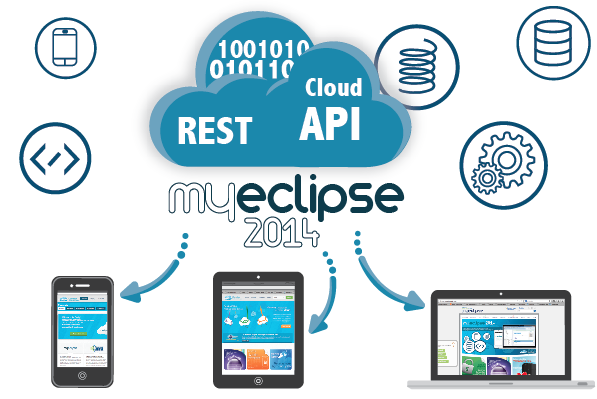 Mobile Tools found in MyEclipse will connect developers with tools designed to aid in rapid prototyping and development of cross-platform native and hybrid apps from beginning to end, with no external chain tool setup required outside of MyEclipse 2014. 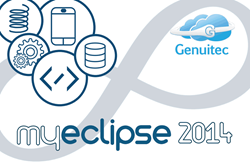 Genuitec, LLC, a pioneer in cloud-based development, is proud to introduce device-to-cloud services for Mobile Tools in MyEclipse 2014. Genuitec Mobile Tools found in MyEclipse 2014 will connect developers with tools designed to aid in rapid prototyping and development of cross-platform native and hybrid apps from beginning to end, with no external chain tool setup required outside of MyEclipse 2014. Genuitec Mobile Tools will allow designers and developers to rapidly prototype and develop cross-platform mobile and web apps with tools based on core mobile technologies, like Apache Cordova, HTML5 and JQuery, letting mobile teams utilize end-to-end development for testing and optimization of tasks. With HTML5 support, users are able to quickly layout apps with a visual designer that is rich with PhoneGap APIs and gives developers the ability to design once with a single code base and configure apps for Android and iOS platforms. Users will embrace JQuery Mobile and User Template support to quickly prototype apps and instantly view changes live within the Mobile Web Simulator (SIM) which greatly speeds up mobile development. Additionally, with MyEclipse 2014 Mobile Tools, developers will now be able to design native apps for iOS7 using the iOS Build Configuration Editor, where users can simply customize applications, including app icons. 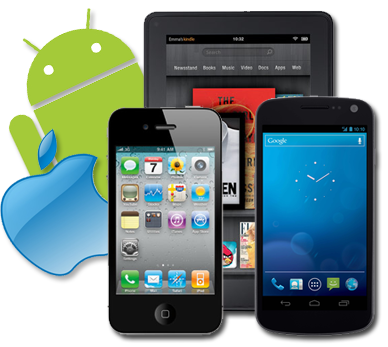 Genuitec Mobile Tools will connect designers and developers to Apache Cordova technology allowing them to package apps in native form for submission to both the Google Play and the Apple App Store. In addition to utilizing Apache Cordova technology for package enablement, MyEclipse 2014 will also provide developers with a seamless path to integrate the full catalog of Cordova/PhoneGap APIs. Subscriptions to MyEclipse 2014 start at $64 annually with options for advanced add-ons available, including IBM WebSphere and Spring connectors, and enterprise management options. For a detailed look at all MyEclipse options, please review our Features page. All MyEclipse 2014 editions are available at: http://www.myeclipseide.com, and come with a complimentary 30-day trial. Free trial users and those with current subscriptions receive all updates at no cost; enhanced service agreements are now available and vary in cost. With year-over-year growth since the company was founded in 1997, Genuitec follows a “Cloud Control” approach and continues to expand by offering superior products to enterprises at value-driven prices. With a laser focus on mobile development for the enterprise Java user, its products are used by more than 17,000 global enterprises which include 80 percent of Fortune 500 companies. Genuitec maintains a vibrant community through its support forums where users engage directly with staff to answer any number of technical needs. Genuitec is constantly evaluating market opportunities for new areas of growth and expansion of its IDE, application lifecycle management and mobile tools technologies. In addition, Genuitec has launched a new product in each of the last 5 years. As a fully-distributed and virtual workforce, the company maintains a low overhead, yet attracts the most talented software developers. Genuitec is based in Flower Mound, Texas and is founding member of the Eclipse Foundation along with IBM, Intel and HP. Please follow Genuitec’s latest news by joining “MyEclipse” on Facebook and on Twitter @MyEclipseIDE and @Genuitec.